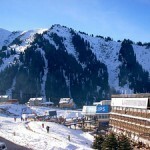 Description: Ski resort “Tabagan” is located on the territory of Talgar district of Almaty region, near the National Nature Reserve. During the summer, “Tabagan” provides all conditions for the development of mountain tourism, skiing on the quad bikes and mountain biking, family recreation resort type of mass cultural and sports activities outdoors. 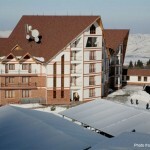 Description: The high-mountains resort “Ak-Bulak” is enchanting natural scenery, luxury vacation, a unique cableway, ski slopes and snowboard routes in 35 km from Almaty. 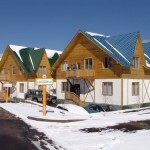 In the highland resort of “Ak-Bulak” you have the opportunity to combine an exclusive and comfortable holiday, corporate seminars and business meetings with your business partners. Location: Chimbulak ski resort is situated in an attractive gorge of the Zailyiski Alatau at a height of 2,260 m above sea level and 25 km from the city center. Description: At the end of the 1940’s, amateur skiers discovered a remarkable place located in the Chimbulak tract, at a height of 2200 meters above sea level. 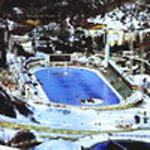 Location: The ice skating rink Medeu located at the altitude of 1,691.2 meters above sea level is world-known. It was erected in 1972. The ice surface occupies 10.5 thousand m², which allows conducting contests in skating sport, hockey and figure skating. Description: More than 120 world records were established here by famous sportsmen. During last years the skating rink was improved after conducted modernization.